India has the second largest Road network in the world at 5.4 million km. 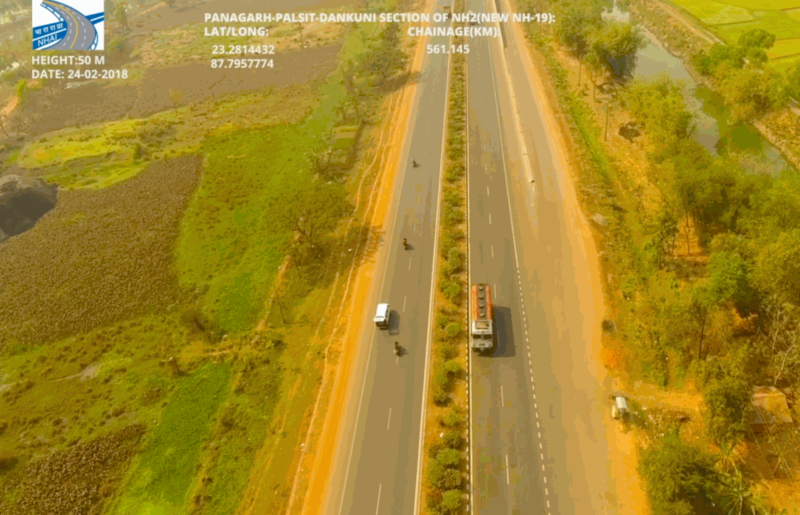 This road network transports more than 60 percent of all goods in the country and 85 percent of India’s total passenger traffic. Road transportation has gradually increased over the years with the improvement in connectivity between cities, towns, and villages in the country. With some 39,000 miles (62,800 km) of track length, India’s rail system, entirely government-owned, is one of the most extensive in the world, while in terms of the distance traveled each year by passengers it is the world’s most heavily used system. Although relatively few new rail routes have been built since independence, the length and capacity of the road system and the volume of road traffic by truck, bus, and automobile have all undergone phenomenal expansion. Physical infrastructure requires planning and monitoring on a regular basis in order to maintain the existing infrastructure and to assist for planning new networks. There is lack of information about the nature of assets beyond the area of interest due to which Time and Costs are hugely affected. Despite ongoing improvements in the transport sector, several aspects of transportation are still riddled with problems due to outdated infrastructure and lack of investment in less economically active parts of the country. The demand for transport infrastructure and services has been rising by around 10% a year and the current infrastructure growth rate is unable to meet these growing demands. We offer a visual reference to all geographic data collected. 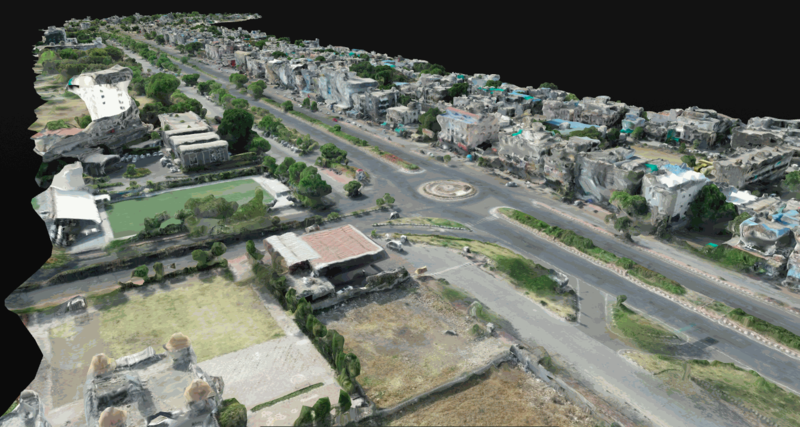 Our image processing provides an easy way to monitor and manage long distance projects using different layers of information collected by UAVs. We ensure that we provide the best accuracy, speed, safety at a cost way cheaper than all the traditional techniques. Our cost-effective solution for close-up inspections to access difficult structures such as building roofs, bridges, communication masts and overhead wires are proven to be reliable. 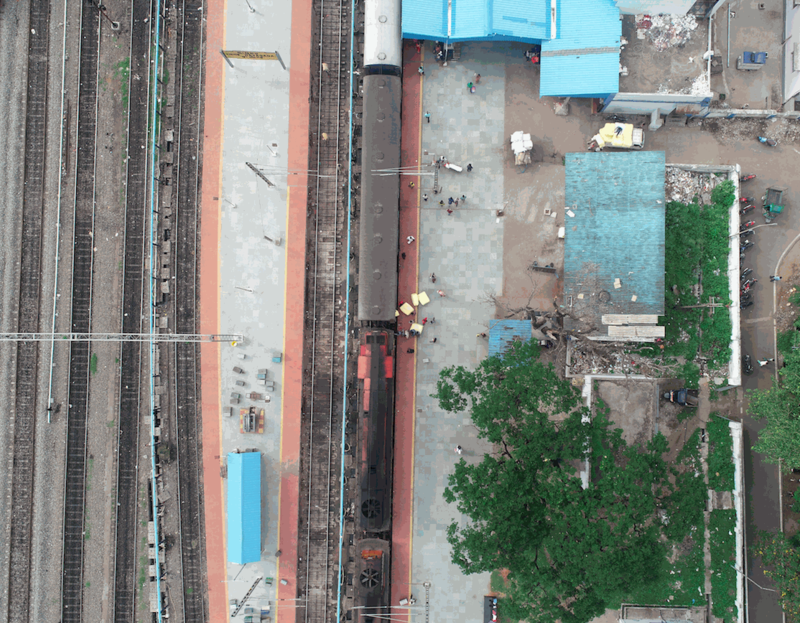 Carrying high-tech equipment like drones that gather data, videos, and images of railway infrastructure which helps to understand better what the problem is and what repairs are needed. As of now, a contractor can get a view of an only 1km stretch of road/railway track at most. On another side we can fly to a 500m radius of our service team standing on the ground, making the flight area a 1km in diameter. A gravel pit operator spends a week or so quantify spoil heaps using surveyors, whereas we promise you only two-day operational work to complete the same task with better accuracy. We provide high-definition quality footage and we take snapshots of the site or videos which can be live streamed. Also protecting the workforce from working at a height which causes health and safety issues. 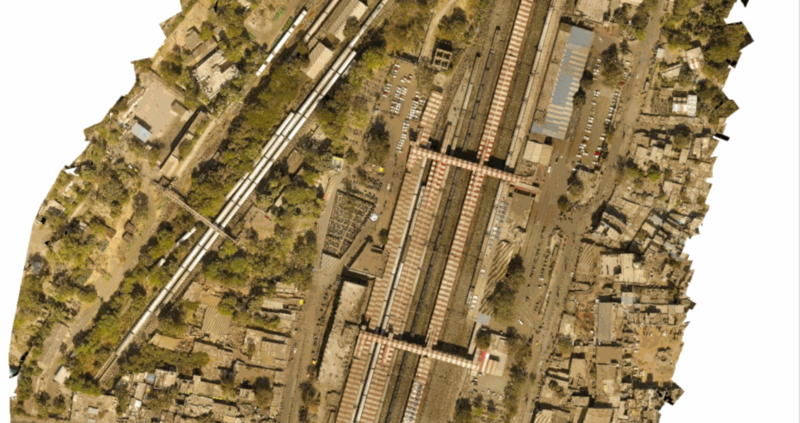 Orthomosaics of the entire road/railway network(Geo.Tiff format) for overlaying purposes with 2cm/pixel resolution. Object Detection, Object counting for planning assistance. Digital Elevation, Surface maps, and contour models. 3D Model and Point clouds compatible with all existing software and also can help in measuring area, distances, volume are integrated. Advanced HD Videography with GPS information for quick action making.